Arkansas has had its share of wildlife horror. 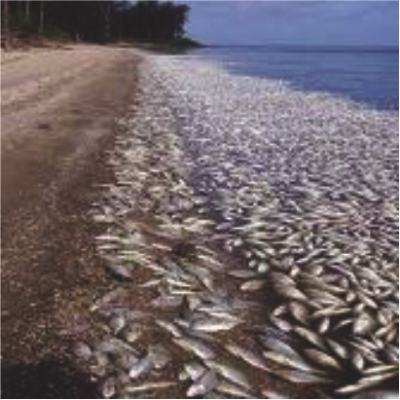 Here thousands of dead fish washed up along a stretch of the Arkansas River. Revenge, so they say, is a dish best eaten cold. Judging from my own (recent) experience, I can confirm that no matter how late it is in coming, justice definitely leaves a sweet taste in the mouth. 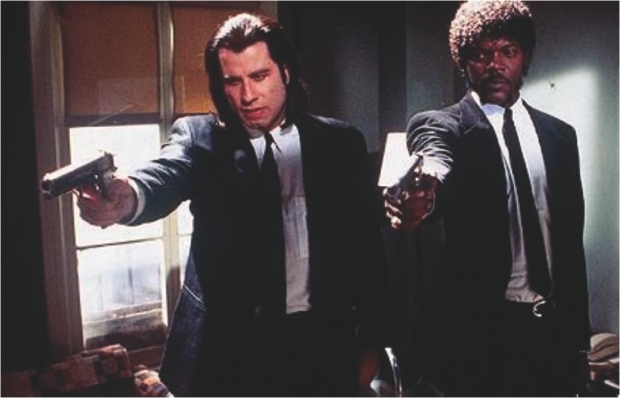 Many years ago, during a trip to Bangkok, I was dragged by two friends to see Quentin Tarantino's iconic film Pulp Fiction. I hated it. Seriously. It was one of the times when it became crystal clear to me that I do not find violence entertaining in any form, no matter how "subversively humorous" it's supposed to be. And I hated Tarantino for inflicting that film on the audience – particularly some of the more gruesome segments of it, which continue to haunt me so long after - as well as for making me feel that I was the only one in the world who didn't have the sufficient coolness/sophistication /intelligence to appreciate his widely-feted offering! As it happened, the two friends who accompanied me had already seen the film and loved it, which was presumably why they had insisted on taking me there. One of them was undeterred by my extremely negative reaction and spent large parts of the film forcing me to look at the screen by prying my desperate hands away from my face. So I was very glad, however belatedly, to find out that I was not the only person who felt that way. The journalist who reported my belated "revenge news" described Tarantino as "the director who has made us cover our eyes during the goriest sequences of his films like Pulp Fiction and Reservoir Dogs". But the best part of his article described how Tarantino recently filed a lawsuit against his neighbour for the disturbance created by the noise of the neighbour's pet macaws, which are kept in an outdoor aviary in his garden. It seems that Mr Tarantino can be a little squeamish himself, particularly when it comes to sound effects that are, as he puts it, "bloodcurdling and pterodactyl like". And apparently, the sounds that these birds make have robbed Mr Tarantino of the ability to find peace in his home, since his neighbour does not understand and respect a writer's need for peace and quiet while he's working. I have one thing to say: Jemon karma, temon phal! Oh, and since the birds are having such an adverse effect on Mr Tarantino's "creativity", I'm very tempted indeed to send his neighbour a thank you card. A scene from the film 'Pulp Fiction' - not everyone's cup of tea. Anyway, I don't think Tarantino should complain so much. Surely it's better to have to deal with say, a screeching bunch of macaws, than to share the experience of Beebe, Arkansas, where New Year's revellers this year spent the holiday weekend cleaning up more than 3000 dead red winged blackbirds. The suggested causes behind the death of the birds range from speculation regarding bad weather or celebratory fireworks to some form of mass suicide or confusion. Whatever the reason might be, the result was that blackbirds rained on to the streets and gardens, driveways and vehicle roofs of the town. One resident said it sounded like hail pelting his house, while another expressed gratitude for having an umbrella that protected her from the worst of the falling birds. It seems that Arkansas may not, in any case, be the best of locations for our furry and feathered friends. The birds were the second mass wildlife death recorded there in recent times, the first being around 83,000 dead and dying fish that washed up along a stretch of the Arkansas River. And even earlier, in 2001, lightning killed dozens of mallards in Hot Springs, Arkansas, and a flock of dead pelicans was found in the woods about 10 years ago. Setting the trend, in 1973, hail knocked birds out of the sky in Stuttgart, Arkansas. Bizarrely enough, some of the birds were caught in the updrafts of a violent storm and became encased in ice before falling from the sky, leading one resident to describe them as "bowling balls with feathers". Although the mass bird deaths on New Year's Eve put a damper (quite literally) on the celebrations for any number of people - the police switchboard being overwhelmed by panicked callers - there's always someone who benefits from unexpected events, however gruesome. In Beebe, the doomsday worshippers were thrilled at the prospect of an imminent apocalypse, signalled by the ill omen of the doomed birds. And as an added bonus, according to a local ornithologist, every dog and cat in the neighbourhood that night was able to get a fresh snack. No doubt Tarantino longs to shoot a grotesque scene like that - preferably one featuring his neighbour's macaws! There are, of course, always the times when there is nothing mysterious whatsoever about situations where animals are involved and things go wrong. A recent incident involving an aeroplane crash in the Democratic Republic of Congo revealed that the cause of the crash landing was not related to any mechanical problems. A survivor informed investigators that the plane, which crashed into a house just a few hundred feet from its destination (the inhabitants were luckily saved by being outside at the time) came down when an unexpected passenger was discovered by the terrified air hostess. She ran towards the cockpit, followed by the passengers, effectively sending the plane - a short range transport aircraft - fatally off balance. The situation could not be salvaged in time, despite the efforts of the pilot.